Nov 12: A day after the Home Minister Sushilkumar Shinde said that the source of funding of the Aam Aadmi Party (AAP) will be investigated, BJP leader Subramanian Swamy said that an investigation must be carried out in this matter. 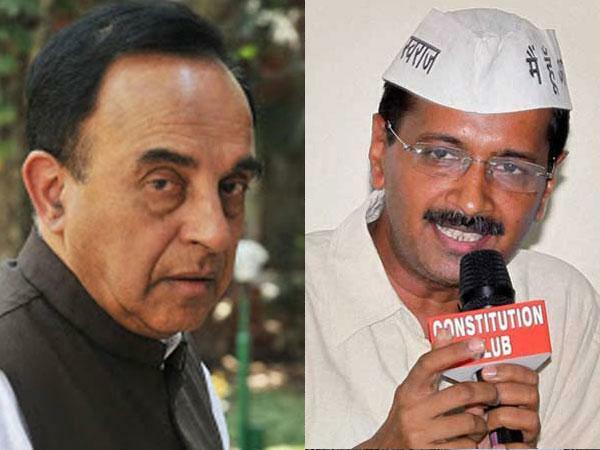 Swamy said: “Arvind Kejriwal must let the government investigate, it seems he has been exposed on foreign funding issue.” He also questioned the source of the funds that the AAP has received so far. “One cannot collect Rs 19 crore in a week by roaming around with a jhadu,” he said. He went on to add that Arvind Kejriwal seems to be dubious as he (Kejriwal) has named 13 countries without naming the donors. Swamy told ANI that Kejriwal’s foundation was given a huge sum of money by an American citizen through awaaz.org, which was a clear violation. Kejriwal on Monday said that if the Ministry of Home Affairs wanted to conduct an investigation, they were free to do so. “But let them also investigate the BJP and Congress’ source of funds. Why only attack AAP,” he said. The AAP claims to have collected Rs 19 crore through donations to fight the upcoming assembly elections.The party also claimed transparency as it had made all the details of the donations including the name of donors and the amount donated by them public, on their website.